Remove the egg yolks and place them in a bowl. Using a fork, mix the eggs. Add the mayo and mustard, and season with salt and pepper to taste. 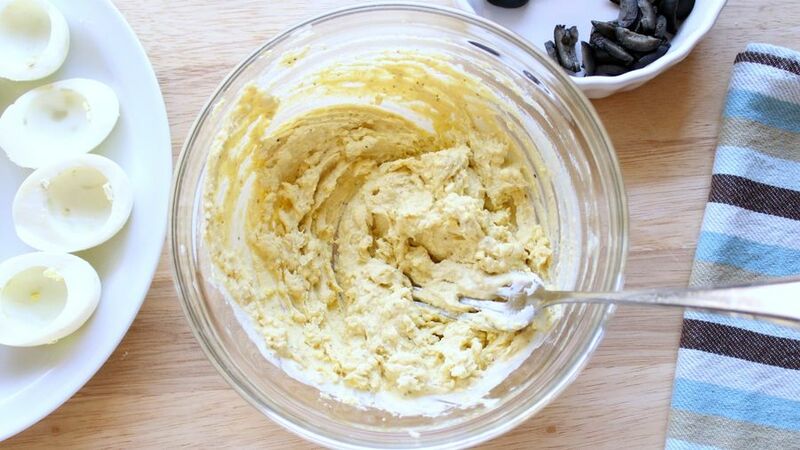 Mix all of these ingredients and use a small spoon to stuff the egg whites. 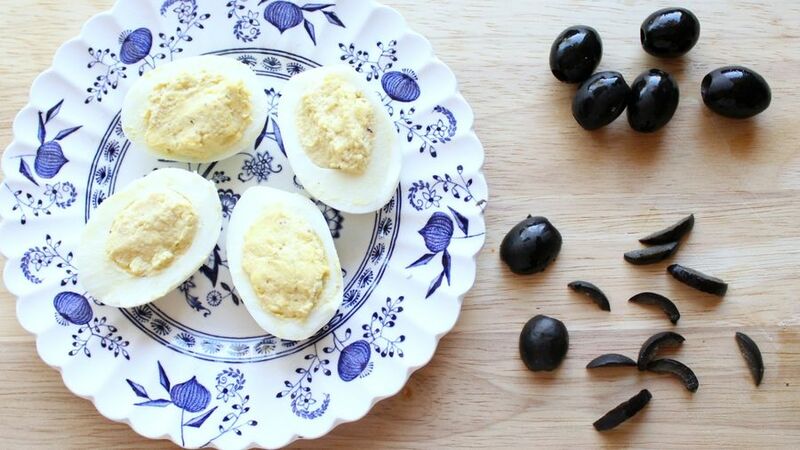 Once the eggs are stuffed, cut the black olives in half. One half will be the spider’s body. Cut the other half lengthwise into 8 slices, which will be the spider’s legs. 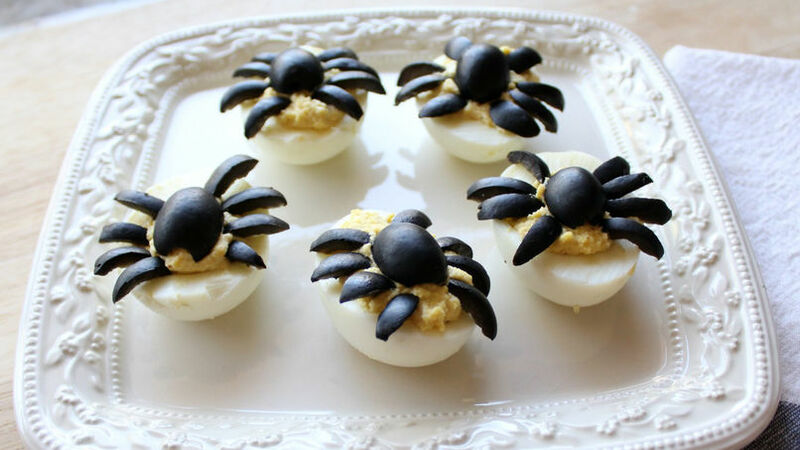 Place the olives over the egg stuffing and shape the spiders. Just like that, you can get a delicious and fun snack that will surprise all of your guests at your next Halloween party. You can create other spooky and fun characters with this recipe. You can use olives or other vegetables depending on what color(s) you need for your character. You can also add other ingredients to the stuffing, like shredded chicken or tuna.